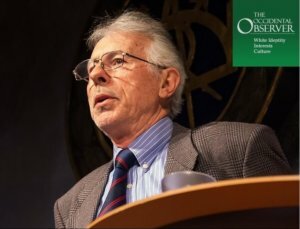 This week we wanted to release a few discussions that were either never released on the main site, or not released at all, discussing Zionist control of British Politics - as well as two new special exclusive recordings with Dr Kevin MacDonald on the Jewish role in subversive intellectual movements. Farther down on our home page you will also find parts 3 and 4 of Jack's exclusive interview with American Renaissance director and one of the most well known white civil rights activist on the planet, Jared Taylor. We will be back with a new Resistance Reports next week. Nick will update us on what he has been up to on the continent, and Jack will discuss what he learned from Charlottesville, and the American radio programs he has been recording with this past week.